POLAR VORTEX 2019: Globalists Use Winter Weather Warfare Against America—Why now? The globalists are once again using their geoengineers to fabricate a weather calamity that is both deadly and highly destructive. This is called false flag environmental terrorism. This quite stealthy type of terrorist attack is far more devastating and lethal than other CIA black ops using bullets and bombs. Weaponized weather events also have a psyop component that is difficult to tease out. The average person is unable to discern that they are really manmade disasters because the geoengineers essentially hijack a real weather pattern that is common to the season. Of course, these weather weapons are always aimed at particular regions of the USA with great purpose and calculation. In this case, however, Canada is also getting hit hard by the worst Polar Vortex on record. Even Niagara Falls is freezing up! 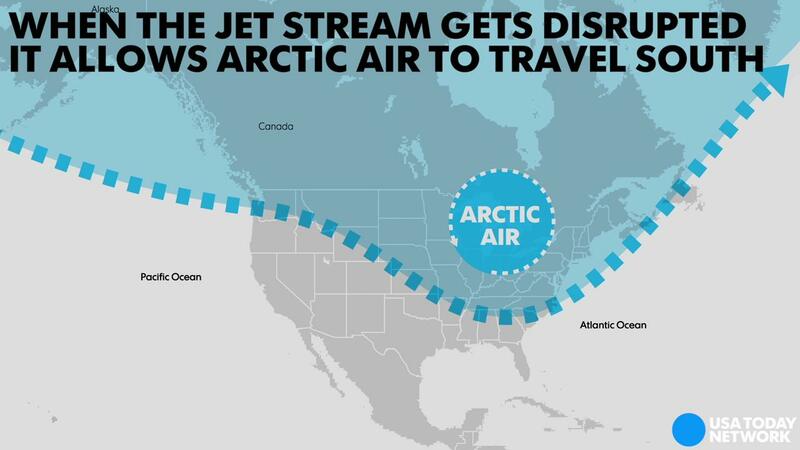 Why are we experiencing this so-called Polar Vortex throughout much of the country now? Was it quite deliberately designed to freeze the nation to further induce a sort of paralysis? It’s of paramount importance to correctly understand the multi-decade conspiracy that has been run against the United States by the New World Order globalist cabal. The panoply of catastrophic weather events over the past many years clearly demonstrates the most powerful weapons in their geoengineering arsenal. Using weather warfare permits them to conduct their devastating attacks as pluperfect false flag operations. After all, during hurricane season everyone expects to see hurricanes so they can get away with slamming a Cat 5 Hurricane Michael against the Florida Panhandle. See HURRICANE MICHAEL: A Geoengineered Superstorm Targeting Tallahassee and Florida Panhandle—Why! Very few suspected that Michael was really a highly geoengineered superstorm designed as a weather weapon to take out the conservative counties of North Florida just before the 2018 midterm elections. So many Republicans were unable to vote that it pushed the 3 biggest races in Florida into perilous recounts. The primary reason why the NWO cabal had to partially abort the Global Warming psyop is because a critical mass of people became aware that it’s really relentless chemical geoengineering that created the warming period. Once this critical data point went viral, they had to give it up … but not without stealthily changing the narrative to Global Climate Change (GCC). The globalists have spent billions of dollars and exhausted vast resources attempting to artificially prop up the GCC sham. The globalists are so desperate that geoengineers are routinely enlisted to seasonally manufacture Polar Vortexes to dramatically illustrate their fake narrative—Global Climate Change. In this way the cabal plans to convey the urgency of formulating a worldwide response in order to avert these and other unpredictable GCC weather disasters. What the globalists will never talk about, and in fact carefully hide, is the direct correlation between the immense chemtrailing operations and GCC. So, what they doing is a running classic “Problem ~ Reaction ~ Solution” game on the community of nations. They have even established a global business model via carbon exchanges by which to conduct transactions with carbon trades, issue carbon credits and hedge with carbon derivatives. It’s really quite an elaborate con game that all the players take quite seriously in an effort to legitimize the whole GCC ruse. This is the once hidden back story necessary to understand why the globalists would foist a deep freeze on America. 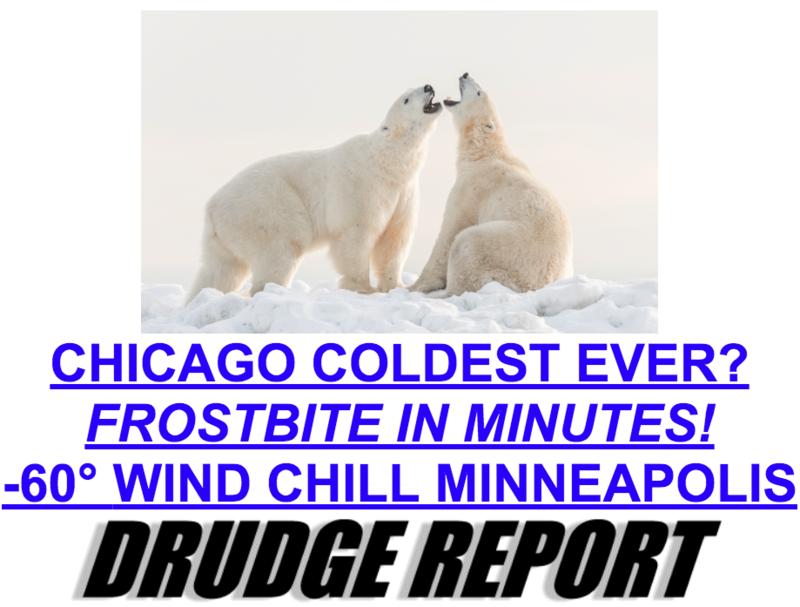 The perps somehow thought that the utterly fake “Polar Vortex” narrative would support their Global Climate Change sham. Yes, there is certainly climate change occurring — here, there and everywhere — but there are two major causes—geoengineering and changes in the solar cycle. See: How is the SUN triggering many earth changes, especially global climate change? However, the globalists don’t want the people of planet Earth to correctly understand these profound causes for all the wacky weather. They would rather you believe it’s all due to CO2 generation from human activity. In this way the cabal will have the justification to foist a One World Government upon the entire planetary civilization. This single development represents the capstone of the New World Order agenda. As for the Polar Vortex that currently holds the lower 48 states in its grasp, here’s an excellent take on the real weather warfare conspiracy upon US. Again, when it’s winter time, it’s very easy for the geoengineers to manufacture cataclysmic weather events that appear natural. This is how they conduct all their false flag attacks on the American people; and why so many caught up in the mainstream mania refuse to consider the truth. What follows is another angle on this intensifying Polar Vortex that may turn quite deadly very soon. MSM weather graphics getting more simplistic by the year. Let’s not forget their constant need to distract US from so much profound criminality and corruption. This is where Deep State is a pro, as they must be to divert our attention to fabricated fears and away from their various crime sprees. The most obvious crimes are associated with very serious FISAgate and CROWNgate as well as the very fake RUSSIAgate. In each of these epic scandals, the criminal globalists must use every trick in the book to preclude a mass awakening concerning their crime waves committed against the American people. The upshot of this exposé is that these weather weapons will be aimed directly at any American target that needs softening up by TPTB. In this deceptive way the globalists intend to corral as many unaware citizens as possible into the manmade Global Climate Change camp. When TPTB conclude that they have amassed a critical mass of GCC believers, the globalists will press the button on their roll-out of a One World Government. There’s no question that the cabal also has a Plan C, D and E. And, that the longer it takes them to con the people of the planet and/or the GCC perps are thwarted by truth-tellers in the Alt Media and Fifth Estate, the more likely the power elite will resort to any one of these world-altering options (see article below).